Hello everyone! Recently I have been getting several emails about my readers. I was getting stories, insights and questions about some important things about travel experiences . I am so glad that I can still manage to answer all of your queries. Today, I am going to write something else . Generally , I write about travel destinations, blog about the experience . How about writing an unforgettable experience with someone I met during my trip. I normally highlight some amazing places and food in the past so writing about a particular person while traveling is a wonderful topic. It feels ultimately great when you meet people down the road. It makes me feel I am rich. The way we travel enriches our life and that is something we can’t buy. We create memories . We can make things good to great. Its all surprises. In the last couple of years I have taken or I have been showered with the most unexpected , wonderful events , which leads me to the life that I have now. We all laugh and cry. We love, lose and grieve but We still stand up and learn . I personally think that traveling is the greatest way for us to meet friends and experience a different kind of life and perhaps even falling in love. Yesterday , I was looking for some old files on my personal computer looking for photos and documents and I forgot which folder I put it under. And I came across with a screen shot of an old chat log and an email from a conversation with someone at the time we broke up. That’s a few years ago by the way. It is really a great timing because in our message and chat We were discussing about our future travel plans. I thought I should share it with everyone. I rarely talk about my personal life , specially that it is oftentimes hard to date with someone on the road. Several months after the break up, I felt so miserable, but don’t worry I feel better now. And I started traveling. I went everywhere. And for the very first time , I owned a great camera. I started taking photographs of everything I want. I take photographs of a church, street and people. I also owned a very talented pet for the first time which is a labrador I named Boogie W. And I also started to blog. I invested on gadgets that’re related to traveling. Initially it began as a blog dedicated to myself and my travel experiences . I was really sad back then that I had to blog about sad love stories and poetries . So now you know , I felt miserable back then. Then an anonymous reader left a comment and said ” You must be very sad, I hope that you are feeling better now. Please share your travel experiences more often. Cheerio! “. And I started my project happiness (out of town) This project has lead me to meet so many interesting people . People from different walks of life . Filipinos, foreigners, doctors, lawyers, dentists, celebrities, students and a lot more. I believe that some of these people may have been like me too. They may have their amazing pets . They may have been miserable at one point in their lives. And I believe that these people have a great story to tell the whole world too. Along came Cg. We met somewhere. We talked to each other. We both said Hi’s and Hello’s. We dated forawhile, which I knew would not ever push through. It’s quite a very funny story really. I was invited to come over and experience the best of Los Banos in Laguna. It was such a fantastic travel adventure. I knew we both like each other. We wanted to give the relationship a try but We both thought, We have to set priorities first. Maybe we’re both scared of long distance relationships. I know that long distance relationship sounds very difficult. I really hate saying goodbyes. It never seems to get any easier. We both knew that We may not see each other again. My relationship with Cg taught me how to love and care for myself more. Cg helped me experience a different way of life . To fall in love again……..
My photography skills are now improving. I also learned how to ride a bicycle for the very first time. I am really happy that I came across these people . It always reminds me of bitter-sweeet happiness. These people touched my soul the greatest and the hardest. I thank these people who made the most impact on my greatest journey . We kept in touch for a while, but We have fallen out of touch.- That’s life. And you should know that. Some of us cross paths for only one moment. But their memories, their influence on me and love for these people will last for the rest of my life. 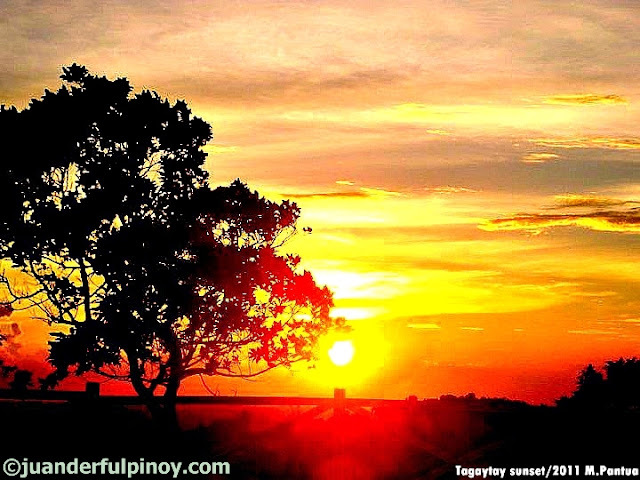 This is an entry to Pinoy Travel Bloggers’ Blog Carnival themed “Unforgettable Human Encounters on the Road”. Marky Ramone Go of Nomadic Experiences hosts September’s Pinoy Travel Bloggers’ Blog Carnival.